Dr. Barron is a board certified, fellowship-trained hand and upper extremity surgeon based in New York City. He is a Clinical Associate Professor of Orthopedic Surgery at NYU Langone Medical Center, and a Senior Attending Physician at the Roosevelt Hand to Shoulder Center at OrthoManhattan. Dr. Barron received his undergraduate degree in Engineering with honors from the University of Texas at Austin, where he was a Tau Beta Pi. He was awarded his medical degree from Tulane University, where he also completed his orthopedic surgery residency. He was awarded fellowships in shoulder surgery at Columbia-Presbyterian Hospital and hand surgery at Roosevelt Hospital. Dr. Barron has been teaching and conducting research for his entire career and has numerous peer-reviewed journal publications, book chapters, and national presentations. 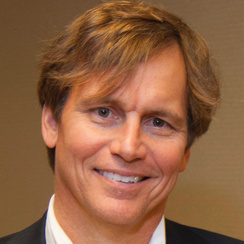 Dr. Barron is a member of numerous professional societies, including the American Academy of Orthopedic Surgeons, American Shoulder and Elbow Surgeons, American Society for Surgery of the Hand, and New York Society for Surgery of the Hand, for which he served as Treasurer (2007-08) and President (2011-2012). He was a Fordham University Team Physician from 2002-2014 and has been a treating doctor for the New York Philharmonic Orchestra and Metropolitan Opera for the past 17 years. He previously held academic teaching positions in Orthopedic Surgery at Columbia College of Physicians and Surgeons from 1998-2014, and the Mt. Sinai Icahn School of Medicine from 2014-2015. He was a Senior Attending Physician in the Department of Orthopedic Surgery at St. Luke’s-Roosevelt Hospital Center from 1999-2015, and a Senior Attending Hand/Upper Extremity Surgeon at the CV Starr Hand Surgery Center at Roosevelt Hospital from 1996 through 2015. A Texas native, Dr. Barron lives in Irvington, New York with his wife and three children. He enjoys numerous sports, including running, tennis, golf, basketball, and hiking in the Adirondacks. He has run fifteen marathons, and is a founding and advisory board member of Team Continuum, which has raised over 7 million dollars in 9 years for cancer patients and their families. He is co-author, with Carrie Barron MD, of The Creativity Cure: How To Build Happiness with Your Own Two Hands, published by Scribner in 2012, and has been Chairman of the Board of Trustees at Post University since 2012.